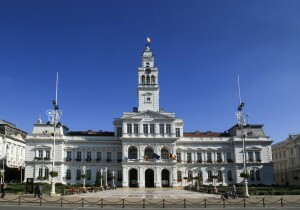 The Administrative Palace of Arad is a significant work of eclectic architecture, currently hosting the City Hall of the municipality and the Institution of the Prefect of Arad County. 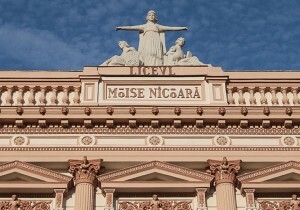 „Ioan Slavici” Classical Theatre is located at the main entrance of Revolution Boulevard. 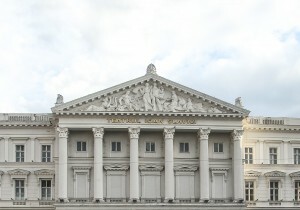 Besides the theatrical seasons of the local theatre, many cultural and artistic events take place here. The Cultural Palace of Arad is one of the most emblematic buildings in the city, which hosts today the Museum Compound and also the State Philharmonic Orchestra of Arad. 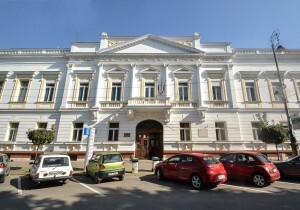 The building of "Moise Nicoară” National College of Arad hosts the college with the same name, one of the leading schools in the city, bearing a tradition of over 130 years. 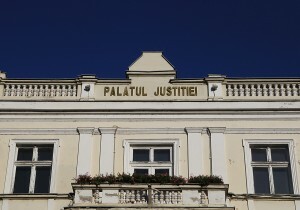 The building has hosted, over time, the Prefecture of Arad and the General Public Finances. Currently, it is named "Arad County Administration for Public Finances”. 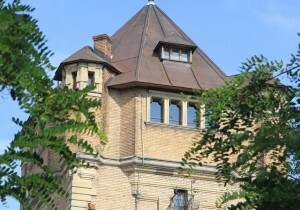 Neumann Palace, built in the past as a private residence with a special architecture, accommodates today commercial spaces and spaces of „Vasile Goldiș” Western University of Arad. Hotel "Ardealul”, under its historical name of „White CrossGrand Hotel”, was founded in the year of 1841. It has a capacity of 146 rooms and is defined by a long standing tradition. The Water Tower, in the past, was supplying water for the city and also was signalising fires. Today, it is declared a mini-museum of water, which hosts themed exhibitions. 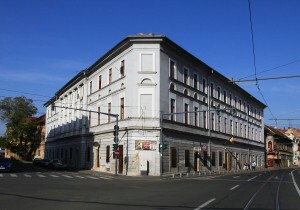 Throughout time, the building hosted the Prefecture of Arad, then it became the editorial office of „Adevărul” and „Observator” newspapers and the Rectorate of „Aurel Vlaicu” University. 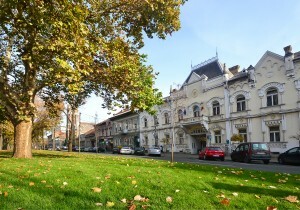 The Andrenyi Palace lies in the city center of Arad, on the Revolution Boulevard, near the City Hall. 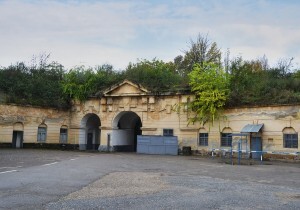 The building is hosting the classrooms of Arad Children’s Palace institution. 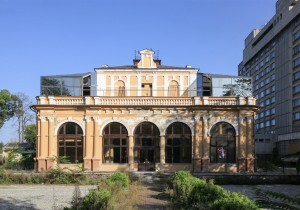 The building was built between 1892-1894 by Arad-Cenad Railway Company. The plans were made in the workshop of architect Miklós Ybl in Budapest and subsequently adapted by Lajos Jiraszek. 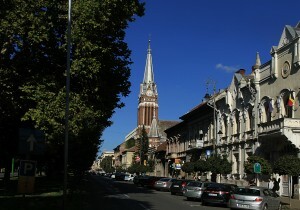 The Romanian Evangelical Lutheran Church came into being at the end of the Great War (1914-1918), its founders being the evangelical lutheran community from the regions of Transylvania and Banat. The Church of the Minorites Order, located in the centre of Arad, was built in 1902-1903 on the former site of a Baroque church, according to a project developed by architect Emil Tabacovits. The palace of Szántay Lajos, an architect native of Arad, famous in Europe, is a brilliant epitome of Secession architecture, its grandeur highlighted by structural and decorative details alike. 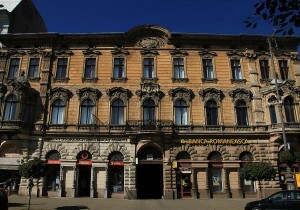 The building of the National Bank was raised during 1909- 1910 and projected by architect József Hubert from Budapest. The central part of the edifice was made by the model of Greek temples. 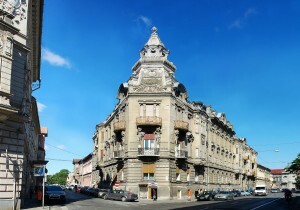 This outstanding building in the heart of Arad belonged to baron Bohuș. 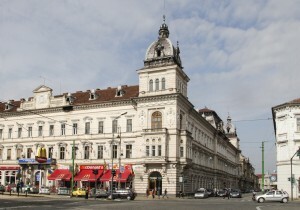 The Palace is the work of local architect Ludovic Szántay and was inaugurated in 1913. 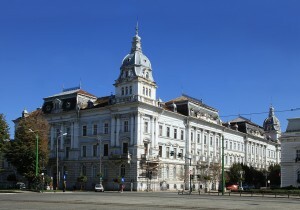 Hermann Palace, one of the most outstanding palaces on Arad's main boulevard, was built in the early 1880s by a wealthy merchant, Gyula Hermann, and his wife. 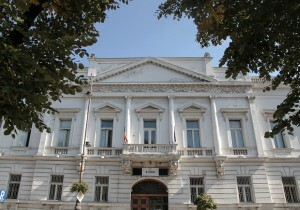 The eclectic-style building was built in the last decade of the 19th century and was meant to be the headquarters of the Romanian Bank “Victoria”. 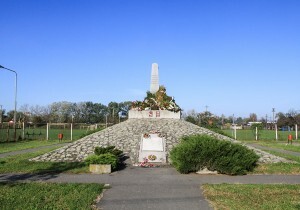 The monument symbolically marks the place where the 13 officers of the Hungarian army were killed during the war of 1848, seen as the war of liberation from the Habsburg Empire. 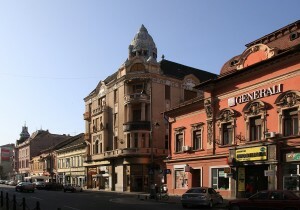 The old Casino building was built in eclectic style around 1872 and shortly became a fashionable spot in Arad, preferred by those in seek of luxury and relaxation. 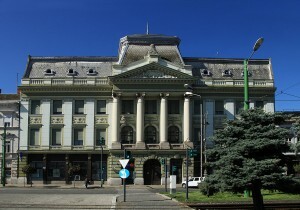 The Palace of Justice, built in two stages, during 1892-1895 and 1940-1943, was and still is among the most modern achievement of its kind in all of Romania. 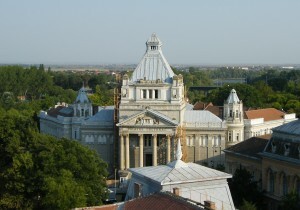 The Neologist Synagogue of Arad is a jewish sanctuary located on no. 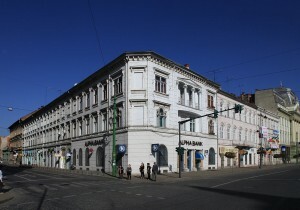 10 Tribune Dobra Street. It was built between 1827-1834, in Greek-Tuscan style, with the guidance of architect Heim Domokos. 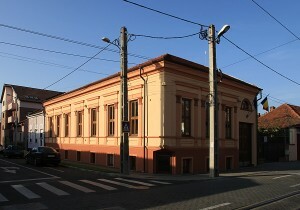 The imposing building located on Lucian Blaga street, at the beginning of the 20th century, it hosted the Normal School for Girls. The building was completed in 1909, in Secession style. The Institution was founded at the order of emperor Francis I and opened its gates on November 3rd, 1812. 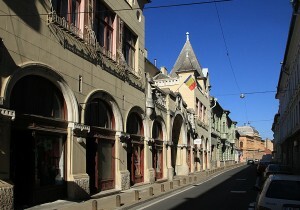 It is the oldest Romanian pedagogical school in the region. The ensemble of Arad Fortress includes three architectural landmarks: the Fortress of Arad, the defensive ditch and the Franciscan Church. The "Birth of Saint John the Baptist" Orthodox Cathedral is a monument of baroque architecture. 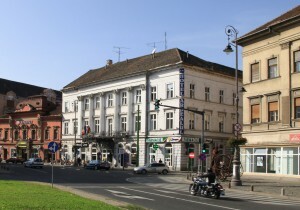 The edifice was built between 1862-1865 under the direction of a local architect Anton Ziegler. 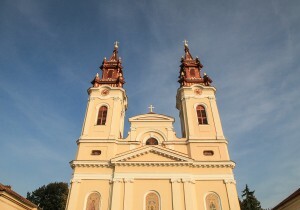 The oldest building in Arad, The Serbian Church was built between 1699-1702, its cost covered by Iovan Popovici Tekelija. 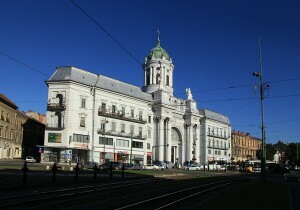 The building was restored by architect Miloș Cristea, during 2002-2008. 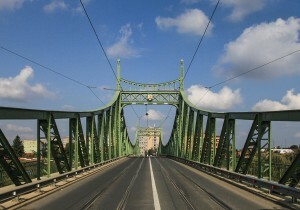 Arad's Trajan Bridge crosses the river Mureş, connecting the traffic axes for both cars and trams, between the city centre and Aradul Nou. We invite you to explore the most beautiful places in Arad. Do you like our city? Let’s promote it together! Maybe you took a very good picture of a building, found a great place or you’ve just heard a few facts that are worth sharing – tell us! We are looking forward to hearing your ideas and suggestions. The guide includes buildings, historical monuments, events, recreational areas and locations from Arad.